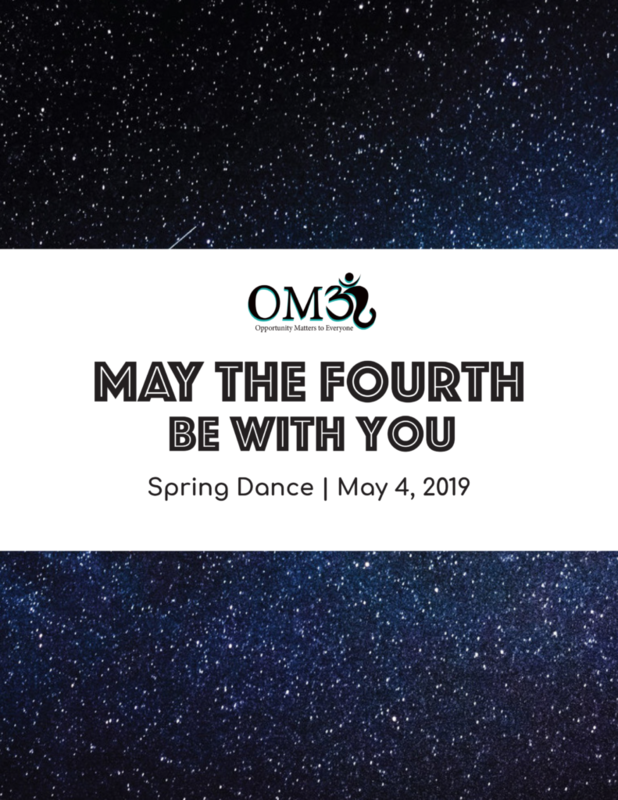 May the 4th Be With You Spring Dance! Dine, Take Photos, Make Friends and Dance the Night Away! Saturday, May 4, 2019 – 6 p.m. to 8:00 p.m.
that will assist and accompany the guest throughout the event. The BUDDY can be a parent, caregiver, aide, therapist, etc. Tickets are set up to purchase in pairs for GUEST + BUDDY.